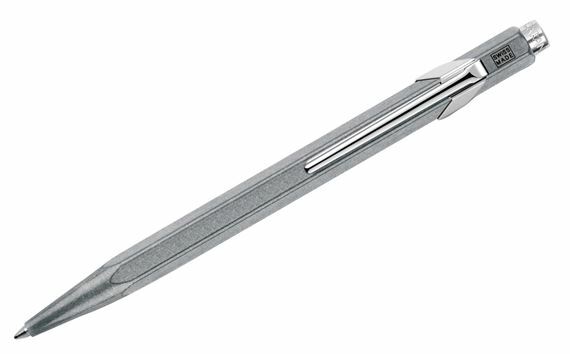 Order your Caran d'Ache 849 Original Ballpoint Pen today from FahrneysPens.com. Fine Pens, Refills & Luxurious Gifts – great prices & fast shipping. 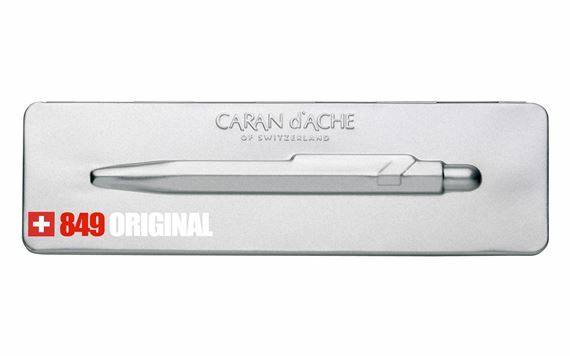 A real original, the Caran d'Ache 849 was launched in 1969, with an astonishing 15 million pens produced since then! The limited edition 849 Original celebrates the legendary hexagonal ball pen with a unique steel-grey, aged metal barrel protected by a scratch-proof varnish. The 849 Original has a gorgeous vintage look with matte steel clip and push-button activator. 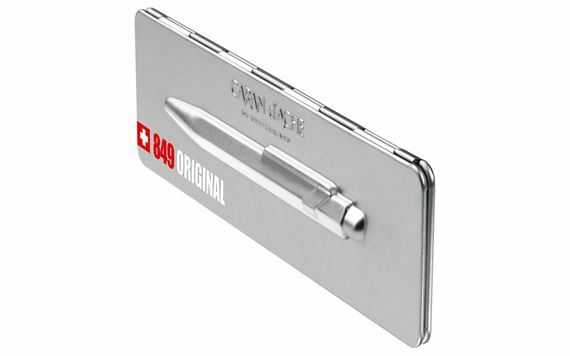 The 849 Original is presented in an exclusive flat aluminum gift tin with a sculpted, 3-D profile of the pen on the lid. Shipped with a Caran d’Ache high-capacity Goliath ballpoint refill. Best writing pen I ever used!